2. Wu-Yuin Hwang, Rustam Shadiev, Tony C. T. Kuo, Nian-Shing Chen, “Effects of Speech-to-Text Recognition Application on Learning Performance in Synchronous Cyber Classrooms,” Educational Technology & Society, Volume 15(1), pp. 367-380, 2012. 3. Tony C. T. Kuo, Rustam Shadiev, Wu-Yuin Hwang, Nian-Shing Chen, “Effects of applying STR for group learning activities on learning performance in a synchronous cyber classroom,” Computers & Education, Volume 58, pp. 600-608, 2012. 4. Tony C. T. Kuo and Arbee L. P. Chen, “A Mask Matching Approach for Video Segmentation on Compressed Data,” Information Sciences, Volume 141, pp. 169-191, 2002. 5. Tony C. T. Kuo and Arbee L. P. Chen, “Content-based Query Processing for Video Databases,” IEEE Trans. On Multimedia, March 2000. 6. Arbee L. P. Chen, C. C. Liu, and Tony C. T. Kuo, “Content-based Video Data Retrieval,” Proc. National Science Council, July 1999. 7. A.L.P. Chen, J.L. Koh, T.C.T. Kuo, and C.C. 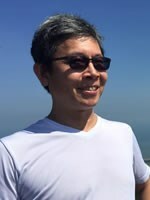 Liu, "Schema Integration and Query Processing for Multiple Object Databases," Journal of Integrated Computer-Aided Engineering: Special Issue on Multidatabase and Interoperable Systems, Wiley Interscience, 1995. 1. Tony C. T. Kuo, Chen Yu-Yan and Chen Ying-Rong, “An Analysis of the Key Indicators of E-learning Curriculum Certification in Different Subject Areas,” 4th International Conference on Internet & Cloud Computing Technology, 2014. 4. Wu-Yuin Hwang, Tony C. T. Kuo, Holly S. L. Chen, “The Effect of Using an English Practice System with a PDA in Situated Learning,” IADIS e-Learning, 2011. 5. Tony C. T. Kuo, Rustam Shadiev, Wu-Yuin Hwang, Nian-Shing Chen, “Effects of Applying STR for Group Learning Activities on Learning Performance in a Synchronous Cyber Classroom,” The 11th IEEE International Conference on Advanced Learning Technologies, 2011. 6. Wu-Yuin Hwang, Rustam Shadiev , Tony C. T. Kuo, “A study of speech to text recognition and its effect to synchronous learning,”in Proc. of World Conference on Educational Multimedia, Hypermedia & Telecommunications, 2010. 7. Wu-Yuin Hwang, Siao-Han Syu, Jung-Lung Hsu, Chio-Tan Kuo, “A Study of Virtual Product Presentation with Whiteboard and Its Effect on Users Perception,” Lecture Notes in Computer Science, pp. 435-443, 2009. 8. Tony C. T. Kuo, “The Development of E-learning Accreditation in Taiwan,” in Proc. of The 22nd AAOU Annual Conference, 2008. 10. Chi-wen Chen, Tony C. T. Kuo, “A Case Study on The System Loading of Applying Streaming Services for Course Material Access in Distance Learning,” in Proc. of The 20th AAOU Annual Conference, 2006. 11. Shue Chwen Lai, Tony C. T. Kuo, “A Prototype of an Auxiliary System for E-learning Content Developments,” in Proc. of The 20th AAOU Annual Conference, 2006. 12. Tony C. T. Kuo, Tzi Huang, “Application on Digital Archives of Traditional Broadcasting and Audio/Video Course Materials,” in Proc. of The 20th AAOU Annual Conference, 2006. 13. Shue Chwen Lai, Tony C. T. Kuo, “Analysis on Instructional Strategy and Performance for Blended E-learning - A Case Study on Graduated Courses of NOU,” Conference on Research in Distance and Adult Learning in Asia, 2005. 14. Chi-wen Chen, Tony C. T. Kuo, “Applying Network Technologies for perse Course Delivery,” Conference on Research in Distance and Adult Learning in Asia, 2005. 16. C.H. Lin, A.L.P. Chen, T.C.T. Kuo and C.Y. Tsay, "An Efficient Approach on Content-Based Image Retrieval with DCT Coefficient Indexes," Proc. Symposium on Advanced Database Systems for Integration of Media and User Environments, 1999. 17. T.C.T. Kuo and A.L.P. Chen, "Content-based Query Processing and Approximation for Video Databases," Proc. IEEE Konwledge and Data Engineering Exchange Workshop, 1998. 19. Tony C. T. Kuo and Arbee L. P. Chen, “Querying Video Databases by Key Frame Matching,” in Proc. of International Symposium on Multimedia Information Processing, Dec. 1997. 20. Tony C. T. Kuo and Arbee L .P. Chen, “An Index Tool for Content-Based Video Data Retrieval,” in Proc. of Multimedia Technology and Applications Symposium, Dec. 1997. 21. Tony C. T. Kuo and Arbee L. P. Chen, “A Content-based Query Language for Video Databases,” in Proc. of IEEE Multimedia Computing and Systems, June 1996. 22. Tony C. T. Kuo, Y. B. Lin and Arbee L. P. Chen, “Efficient Shot Change Detection on Compressed Video Data,” in Proc. of IEEE Workshop on Multimedia Database Management Systems, pages 101-108, August 1996. 23. Tony C. T. Kuo and Arbee L. P. Chen, “Indexing, Query Interface and Query Processing for Venus: A Video Database System,” in Proc. of Cooperative Database Systems for Advanced Applications, Dec. 1996. Shu-Chin Su Chen, Cheng-Yao Ni, Tony C. T. Kuo, Y. B. Lin, and Arbee L. P. Chen, “Efficient Shot Change Detection on Compressed Video Data,” United States Patent No. 5900919.